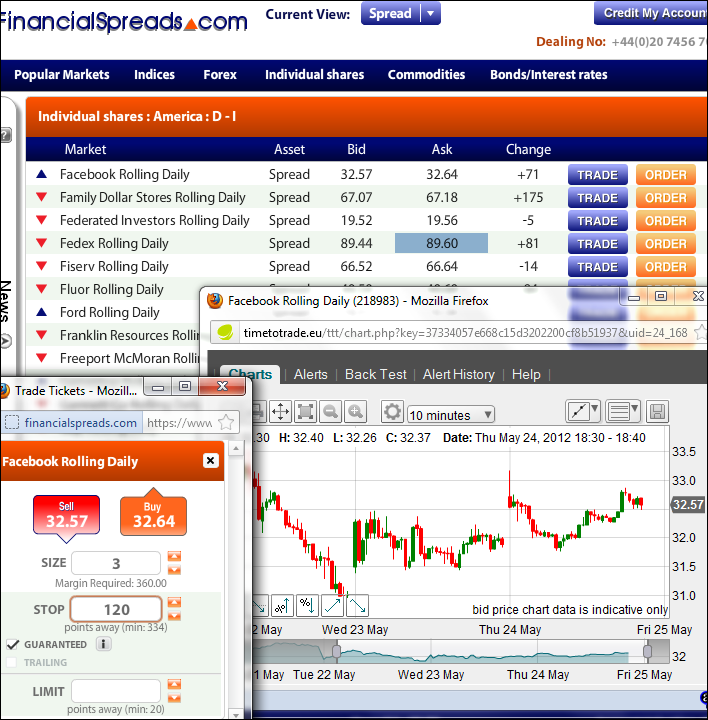 FinancialSpreads have added new CFD and spread betting markets so clients can speculate on Facebook. With the new markets, clients can access live prices and professional level charts to help them analyse and review the Facebook share price. Both spread betting and CFD trading offer a convenient and quick way for investors to access financial markets that they may not normally be able access through a traditional stockbroker. For example, on FinancialSpreads.com, there is a wide range of forex markets, stock market indices, commodities and equities listed in the UK, USA, Germany, France and Ireland. A further benefit for UK investors is that spread betting is tax-free*. According to Adam Jepsen, spokesman for FinancialSpreads.com, the risk management features available on the platform will be useful for a volatile market like Facebook. "The first few days of trading after the IPO have seen some large price movements. The shares initially went on sale at $38 and quickly traded higher, nearly hitting $42, before settling back down just above the initial offer price. "On the second day of trading, in broad terms, the market opened at $38, fell to $33 and bounced up to $35 before closing near the $34 mark. When you are spread betting on every $0.01 that the share price moves, e.g. £2 per $0.01, those kind of price movements can quickly lead to sizeable profits or losses." "We help clients manage their downside by automatically adding a Stop Loss order to every trade. Investors looking to speculate on Facebook, or any other market, should also consider applying some of the other risk management tools that we offer." If a market does move against a trade, and across a pre-set level, then a Stop Loss order will close the trade and prevent any further losses. To help protect and lock-in trading profits, the FinancialSpreads trading platform lets users add Limit orders and Trailing Stop orders. It is important to note that Stop Losses and Trailing Stops are not guaranteed. Occasionally the markets can slip through a Trailing Stop or Stop Loss level. If this happens the trade will be closed at the next traded level. For further security, clients can put an absolute limit on any losing positions by adding a Guaranteed Stop order to their trades. This extra insurance can be added for a small cost. Before trading, please note that spread betting and CFD trading are leveraged products and therefore carry a high level of risk. 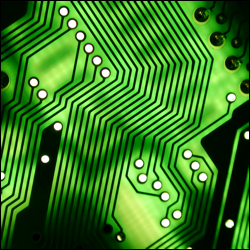 Investors should ensure spread betting and CFD trading meet their investment objectives. Seek independent financial advice if you do not understand the risks. FinancialSpreads.com offers both CFDs and spread betting on more than 2,500 markets. Clients can apply a range of risk management orders and access professional level charts for each market. The service is commission-free and there are no brokers' fees. FinancialSpreads is a trading name of London Capital Group Ltd (LCG) which is authorised and regulated by the Financial Conduct Authority. LCG is a company registered in England and Wales under registered number: 3218125. Registered address, 2nd Floor, 6 Devonshire Square, London, EC2M 2AB. * Tax treatment depends on individual circumstances of each client and may change in the future.